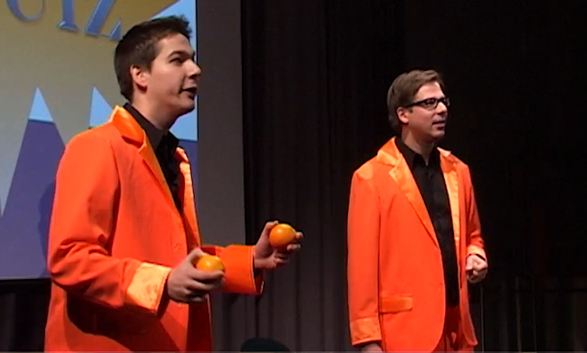 The Groen Brothers also perform live sketches on stage. In 2012 we had a massive show at the Leicester Square Theatre in the heart of London, UK! Our live show consists of live sketches and videos, specially made for theatre. If you would like to see our live show promo, check out this video. For bookings, click here.